Thanks to the app makers who made battery savers for android. A best battery saver app for android can increase your mobile’s battery life and save you a few more hours. All of these apps are available on Google Play Store. They all are free, but some apps also have their paid versions. All their details and features are written below. In the old days, a cell phone’s battery might hardly end after at least 3 days. Some cell phones had even one week battery time. But today, when the world is fast, our smartphones'(especially android) battery life is less than 24 hours. Features like WiFi, GPS, Camera and the ability to do multi-tasking don’t let the phone’s battery to last longer. We can not play games or call over WiFi for longer. We always get a ‘low battery’ warning after 3-4 hours of such use. DU battery Saver is the most downloaded battery saver app in Play Store. And has been installed more than 100 million times up till now. This app can boost your android phone’s battery life to up to 50%. This app is free to download but it also has a paid version with more saving capabilities. It’s paid version can boost your battery life to up to 70% that is worth buying. Some of the best features of DU Battery Saver include smart preset modes, accurate battery status and one click optimization. 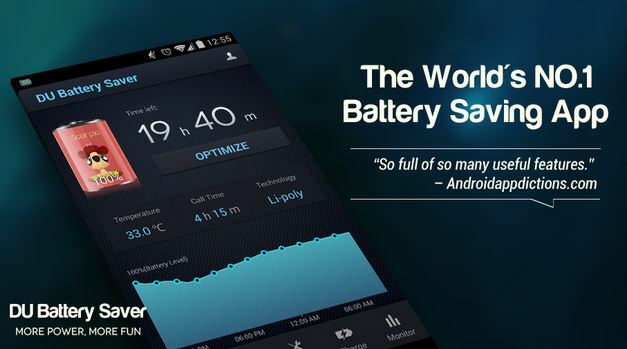 This is the reason why we ranked this first as the best battery saver app for android. Developed by Cheetah Mobile, Battery Doctor is another Android battery saver app that is very famous among all. Like DU battery saver, this app also claims to increase your battery life to up to 50%. Battery Doctor battery saver app has more than 50 millions installations at the time of writing. And has received 4.5 stars by more than 4.3 million users. It has a task killing feature that will let you kill running tasks with one click. It also kills running apps when the screen is off to save more battery. Battery Doctor, Android battery saver app is available on play store for free. You can follow the button below to install the app from play store. Juice Defender is a solid and powerful yet simple Android battery saving app made by Latedroid. Juice defender is packed with smart functions that automatically controls battery draining components on you Android phone. The app comes with three versions. One basic version is free and other versions are JuiceDefender Ultimate and JuiceDefender Plus. At first, you should try the free version. And if it works good for you, you can try any one of the two paid versions according to your needs. Here you can see the comparison chart between the three versions of Juice Defender. 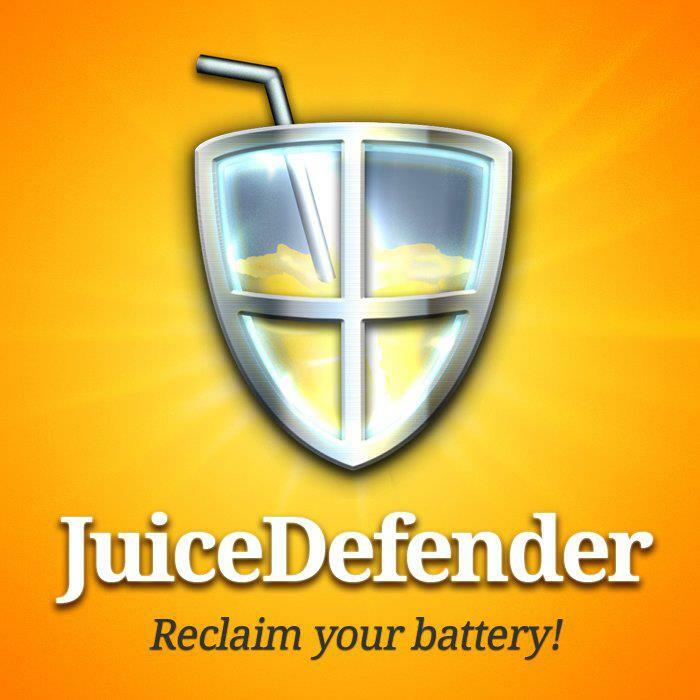 Download the free version of Juice Defender by clicking the image button below. In your eyes, what is the best battery saver app for android? And how long your Android Phone’s battery last using that battery saver app? Let us know in the comments.